DemoCurmudgeon: Florida's water disaster is Walker's Wisconsin plan too. Florida's water disaster is Walker's Wisconsin plan too. Republicans don't solve problems, they disconnect from them. Think about it; did the Walker administration come in and try to improve corrections, transportation, protect the environment and clean our drinking water? No, just the opposite, because that's small government. Oddly, Republicans thinks it's better to shift these problems over to the private sector, who doesn't give a damn if they can't make money from it. And as corrections, drinking water and transportation get worse, voter anger over government increases, so they vote Republican. It's magical. How bad does it have to get? If Trump is any indication, there's no limit. Florida made national news for being coated in thick, green, toxic algae. It looked like a river of snot. It smelled worse. And it mangled the economy along the St. Lucie River and Treasure Coast. Florida officials responded ... by voting to allow more cancer-causing agents into the Sunshine State's drinking water supplies and recreational waters. No, I'm not kidding. Gov. Rick Scott's "environmental" commission voted to allow higher levels of things like benzene (which can lead to leukemia) and tetrachloroethylene (which has been linked to bladder cancer) into ground water supplies elsewhere. It may sound too ridiculous for fiction. 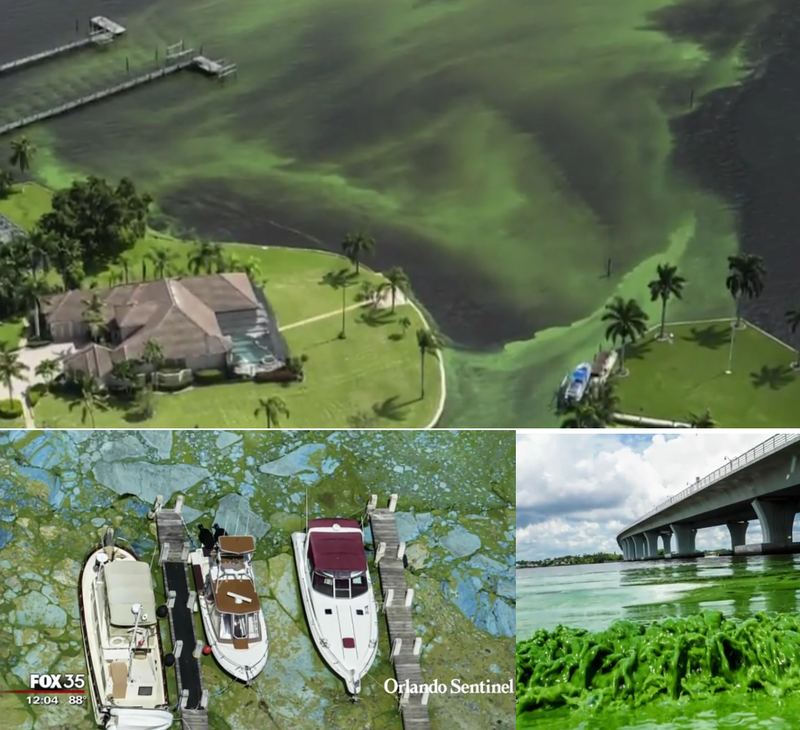 But it's not too ridiculous for Florida — where environmentalism is about as dead as the belly-up fish in the algae blooms. They allow companies, developers and homeowners to pave and foul the land — and then charge taxpayers billions to clean it up. Fiscal conservatism, my asphalt. People worried about clean air or water were labeled as "job killers." Now we're spending $8 billion repairing the Everglades. we keep electing politicians who foul the land and then stick us with the bill.